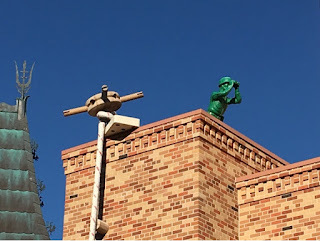 The Pixar Place area of Hollywood Studios is currently home to Toy Story Mania. However, that section of the park is going to expand into a much larger Toy Story themed land over the next few years. 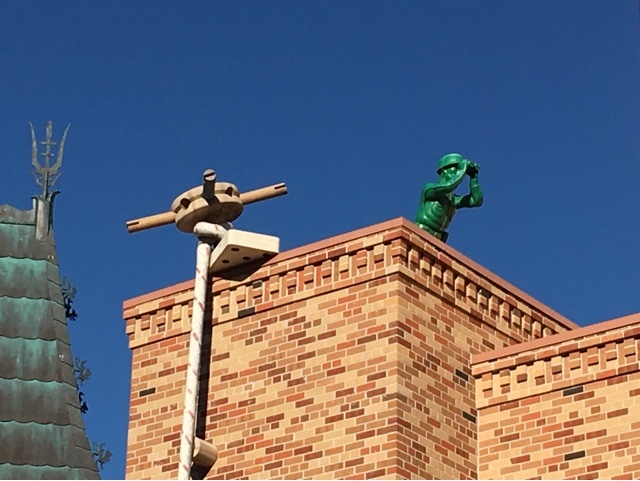 For now, you can see this toy soldier, tinker toy, and domino on top of a building across from the attraction.